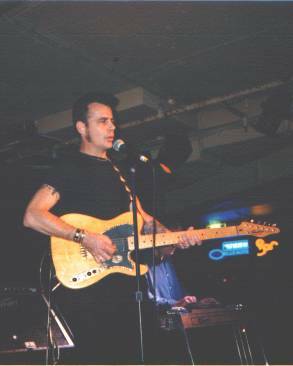 Monday, 5th October 1998 - The end of the Labour Day long weekend, and the faithful packed The Basement club in Sydney, Australia. They came to see and hear Texan troubadour Dale Watson. 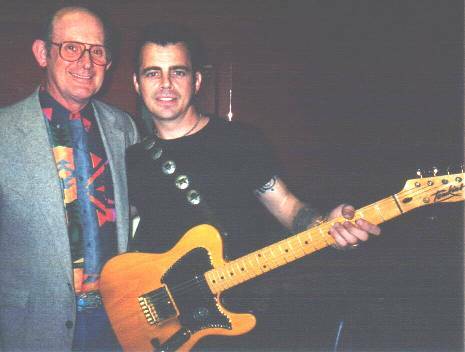 Armed with a "Diamondtina II" model Tomkins guitar, made from the wood of the Australian Ash tree, and backed by the talents of his "Aussie Lone Stars" (pictured below), he lived up to the promise of his lyrics, "Don't rock it, if you can swing it......play A Real Country Song". 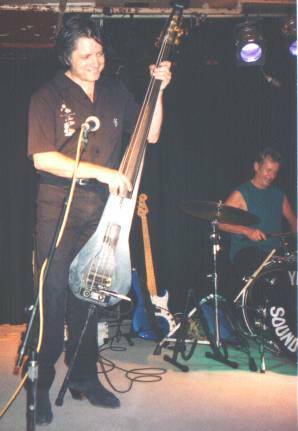 Click here to listen to Allan Tomkins (pictured above left) and Dale Watson (above right) in Real Audio. Dale was supported by Keith Glass, fresh from an award-winning spree at the Mildura Festival. 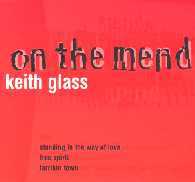 Keith picked up the Australian Independent Country Music Awards for Best Single ("Smoke and Mirrors") and Heritage ("Larrikin Town"). 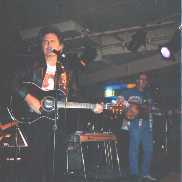 The recording of "Larrikin Town" features The Amazing Rhythm Aces and the Crosby Sisters, and is one of the tracks on Keith's new 4-track CD entitled "On The Mend" which also includes duets with Lyndsay Hammond ("Standing In The Way Of Love") and truckin' star Nev Nicholls ("Free Spirit"). Order your copy on-line now!